Keep up with the latest developments, news, and achievements on the transportation front. 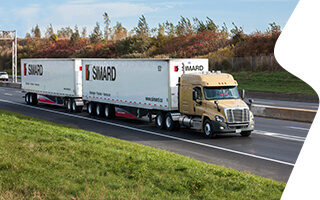 There’s no better way than regular updates to see what has made Simard a Canadian transportation, warehousing, and logistics leader since 1943. Take advantage of our warehousing logistics solutions tailored to your needs. Benefit from our extensive network and our exceptional flexibility.